CINCINNATI -- It's that time of year again for shoppers like Sarah Snyder and her children. The back-to-school sales are in full-force at the Target in Oakley. "We always come here and it's pretty easy to find most stuff," Snyder said, "Occasionally there's one thing that we have to look for." 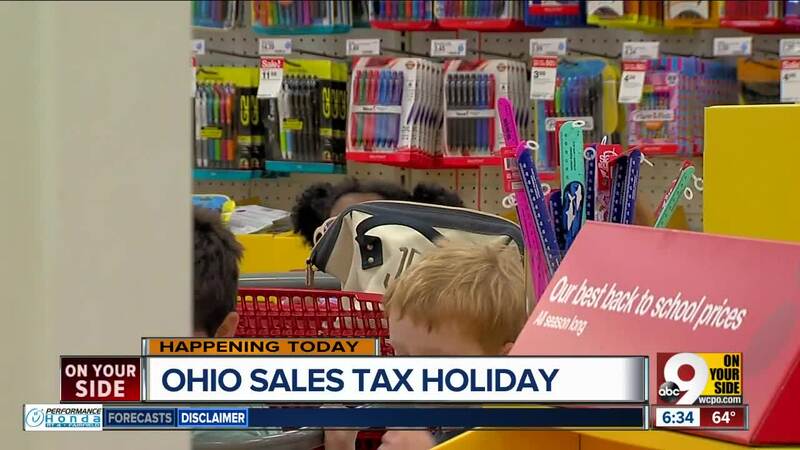 Shoppers can save even more with Ohio's sales tax holiday starting Friday. It runs through Sunday. Here's how it works: a purchase is sales tax-free if it's a school supply under $20, a school instructional item under $20 or a piece of clothing under $75. That includes "everyday fashion piece" and items like shoes and belts, according to Target Executive Team Leader Jen Reagan. Most families are looking for what they need based on a school supply list. But not everything on the list is tax-free. Household items don't qualify. Neither do cosmetics, jewelry, sports equipment or electronics like laptops. Shirts representing your favorite school team do count. 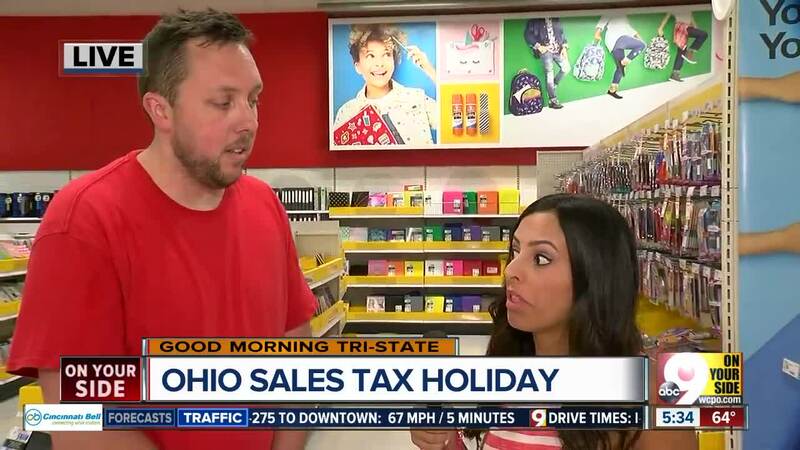 And while many people connect the sales tax holiday with back-to-school, clothing counts whether its for children or adults. Even bridal gowns are included, as well as qualifying online purchases. Click here for more information about the sales tax holiday.